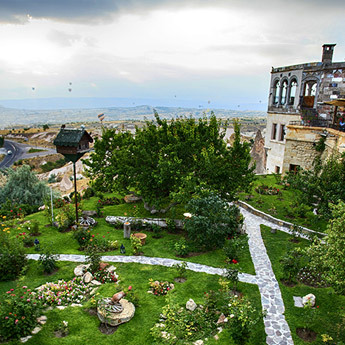 Museum Hotel (and Indigo Group of Companies) is one of the leaders in Cappadocia and Turkey in the expanding and worldwide concept of “responsible tourism,” combining this concept with 5-star luxury service. 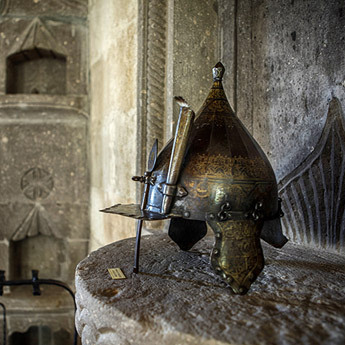 Museum Hotel is carrying out the first, and only, hot water (thermal) drilling in Cappadocia. 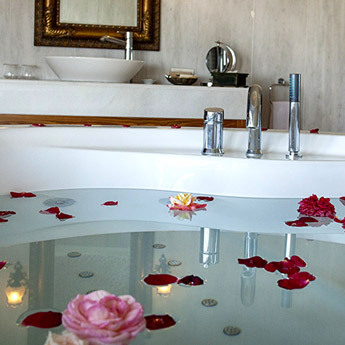 This is being done to enable the heating of the hotel to be 100% natural and to add a unique ‘Thermal Wellness’ area to the hotel—something original and distinct in Cappadocia. The project, spearheaded by Indigo Group, will include the whole of the area and be controlled by Indigo Geothermal. 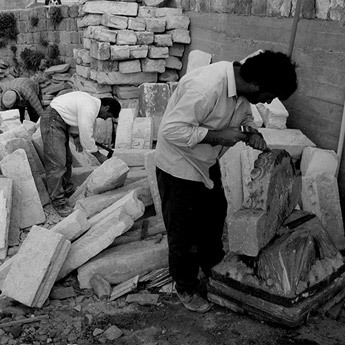 Museum Hotel has saved many historical caves and stone houses from being destroyed, and careful and detailed restoration has been carried out. In recognition of this achievement, Museum Hotel was awarded Best Hotel Restoration and Renovation by the International Hotel Awards 2013. Museum Hotel has successfully undertaken, and continues to work on, many projects concerning the protection of historical artifacts with its “living museum” concept. 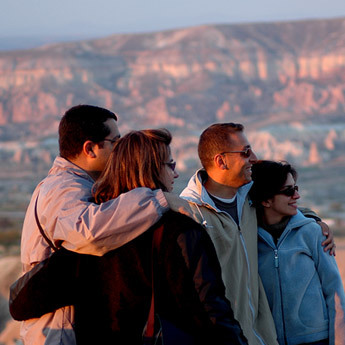 Museum Hotel supports the projects of many national and international organizations, such as the Chicago Cancer Foundation, Childhood Brazil, and Swiss Red Cross, mainly as part of Rotary International. 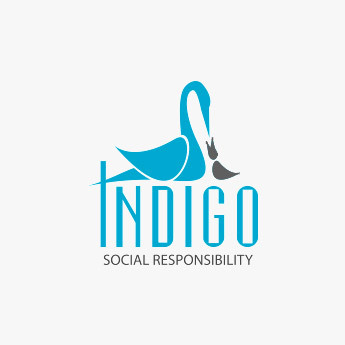 These projects are managed by INDIGO SOCIAL RESPONSIBILITY. 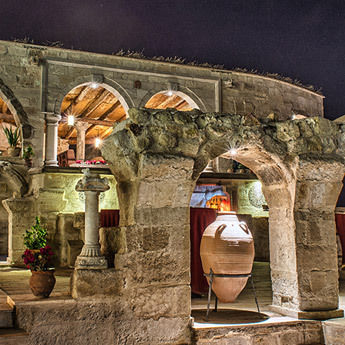 Museum Hotel has been a part of many successful public projects, such as donations toward the restoration of the ancient city of Sobessos and special projects helping needy and orphaned children. 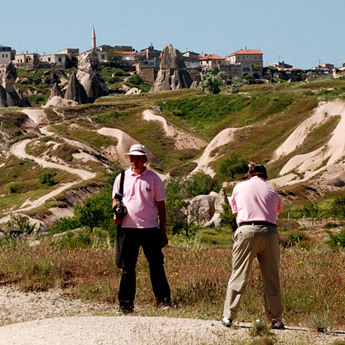 The total amounts collected from the “Morning Trek” activity are used in support of needy children in Uçhisar. 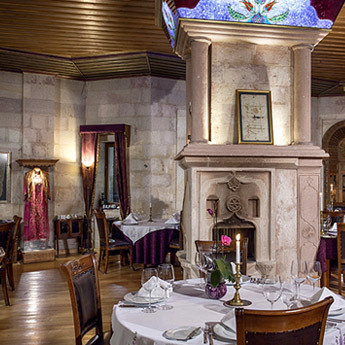 Museum Hotel keeps alive the culture of Cappadocia and those traditions that have tended to be forgotten over the years, not only through restoration projects but also in keeping alive many forgotten tastes of Cappadocia as served in our à la carte restaurant, Lil’a. 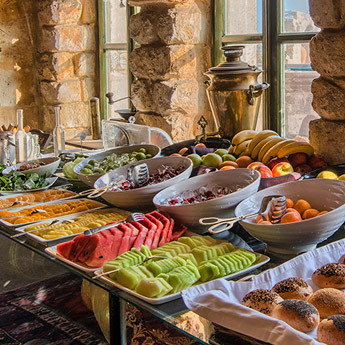 Museum Hotel produces totally natural, pure, hormone-free fruits and vegetables in its ecological garden, which we serve to our guests. Also, organic honey and free-range eggs are produced and served to guests at breakfast. Museum Hotel uses solar energy intensively, meaning a great amount of the hot water and heating is met through solar energy use. Internal and external illumination of Museum Hotel is provided by low energy lamps. Museum Hotel pays close attention to not releasing waste into the environment.